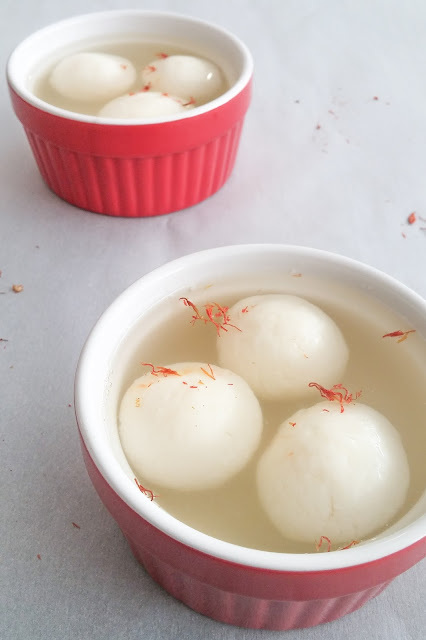 The spongy and juicy rasgullas are my all time favorite. 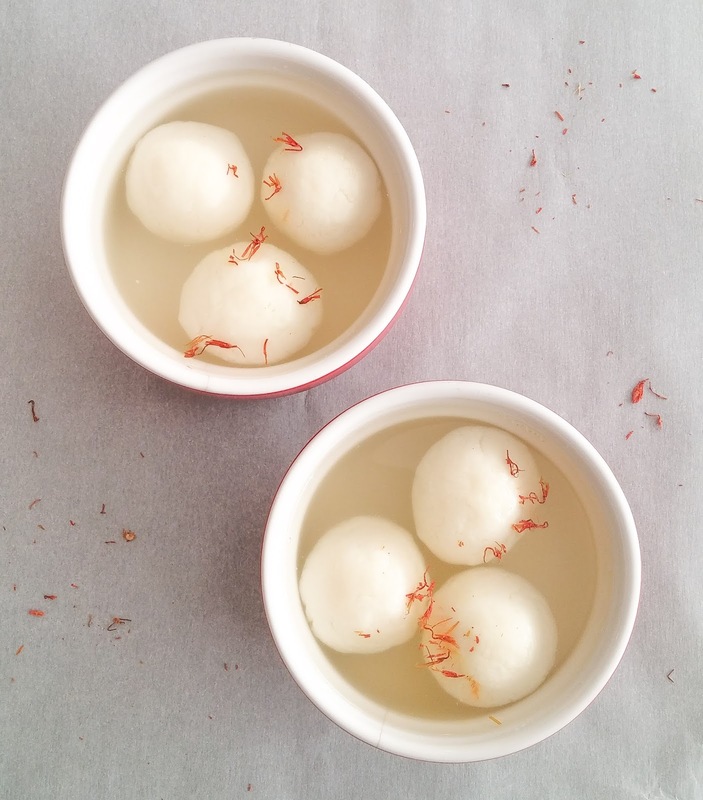 Rasgulla is one of the famous Indian delicacies. It is syrupy dessert made from ball shaped dumplings of chenna, cooked in a syrup made of sugar. This is my first attempt of making rasgullas at home. It came out so well. 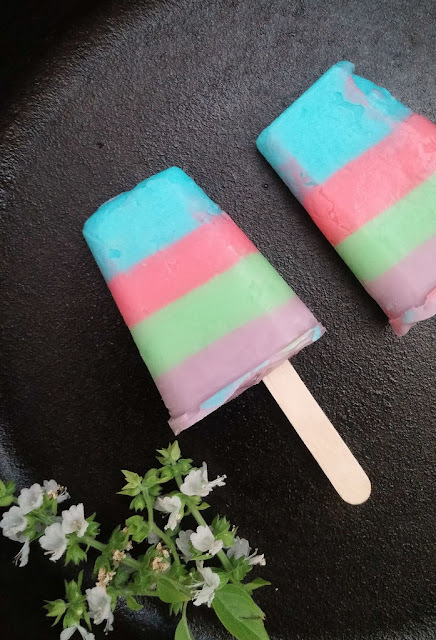 Follow these simple steps and make this delicious sweet for Diwali. Take milk in a pan, bring it to boil on medium flame. Once it starts to boil, remove the saucepan from flame. Stir in lemon juice to the milk, it should begins to curdle up immediately. Now close the pan with its lid and let it sit for about 10 minutes to separate the curdled milk and whey completely. If it doesn't form, add some more lemon juice and stir it up. Once the milk curdled and whey separated, strain the curdle in colander or strainer, which is lined with cheesecloth or clean cotton cloth. 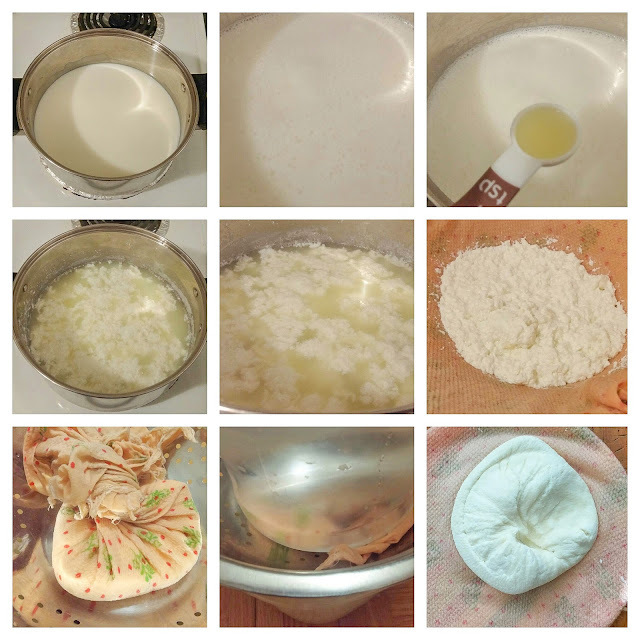 Gather the corner of cheesecloth and squeeze to drain the excess whey from the cheena. Take a bowl of water, drop the chenna into the water and wash it well. Squeeze to remove excess water. Place the chenna in colander and keep some weight on it and leave it for about 15 mins to remove the moisture. After 15 minutes, take cheena from the cheese cloth and place chenna in a mixing bowl. Knead it well like how we knead the chappathi dough for 5 minutes. 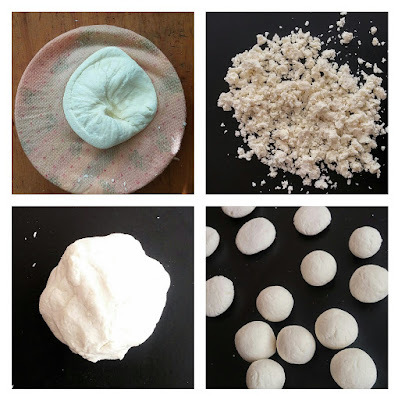 Now pinch a small portion from chenna and roll it between your palms to make a small round ball. Prepare the same for rest of chenna. Cover all the chenna balls using with kitchen towel until you prepare the sugar syrup. Take sugar and water in large pot on medium high heat. Stir it well and bring it to boil. 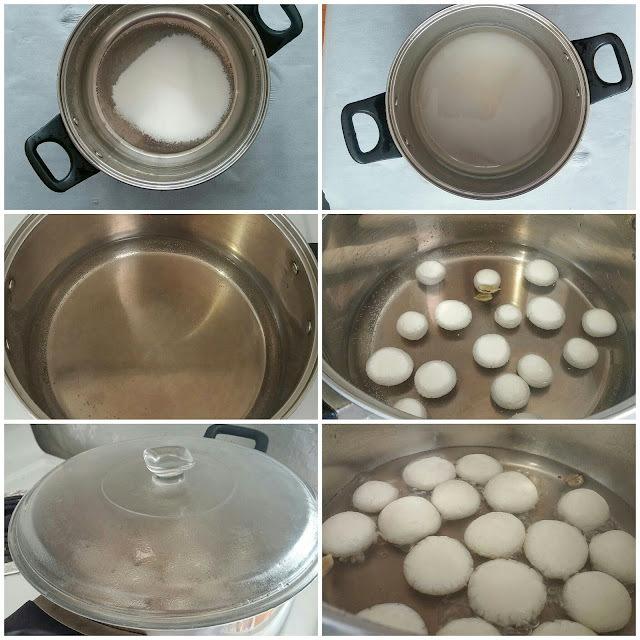 Gently slide in all the chenna balls and cover the pot immediately with its lid. Cook for 8 to 10 mins on medium high flame. The rasgullas will become doubled the size. Remove the pot from flame and let it sit for 10 mins. 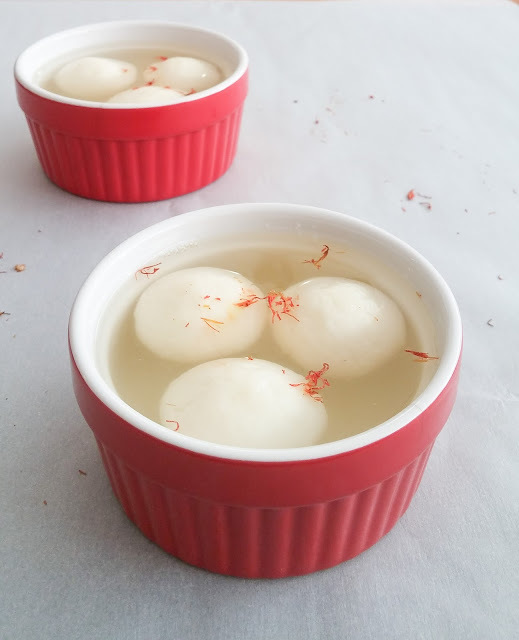 Now open the lid and transfer the rasgullas and syrup into a container and chill it for 2 to 4 hours.